The prestigious Polvaram Project, which is seen as lifeline for Andhra Pradesh after bifurcation, is now raising new controversy between the Telugu Desam Party government in the State and the Bharatiya Janata Party-led NDA government at the Centre. Even as the two governments have locked horns and are in the fighting mode, this new controversy is all set to intensify the fight, giving an edge to the TDP over the BJP leadership. 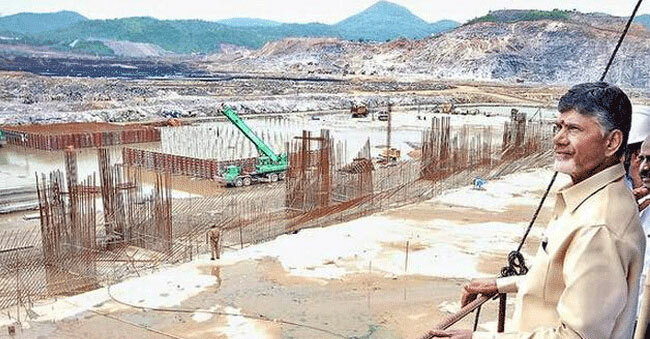 The release of Rs 1400 crore by the Central government to the State for the Polavaram the other day, had come as shocker to the State as it was neither the full payment of the old detailed project report (DPR) or the partial payment of the new DPR submitted by the State recently. The old DPR was prepared before the bifurcation of the State estimating the total cost of the project at Rs 12,294 crore of which the State government had spent Rs 5,136 crore before the bifurcation. The Centre had refused to reimburse this amount, for which the State too had agreed and the balance is only Rs 7,158 crore. Out of this Centre had so far released Rs 6,764 crore, including the recent Rs 1400 crore and the balance is just Rs 395 crore. But, after the bifurcation and the implementation of the new Land Acquisition Act 2013, and as per the 2013-14 prices, the project cost is now estimated around Rs 58,000 crore of which Rs 38,000 crore is towards resettlement and rehabilitation while the balance Rs 20,000 crore goes towards the project construction cost. The State government had been asking the Centre to take the new DPR and release funds accordingly. However, the Central government had not taken a decision on this yet, which is likely to be new cause of a potential battle between the two governments. The State government is planning to take up this issue in the next two weeks giving enough material for Chief Minister Chandrababu Naidu to take on the BJP leadership and Prime Minister Narendra Modi. It is to be seen how Chandarababu Naidu would take up this to target Narendra Modi and how the BJP leadership would counter it or justify it. Tik Tok removed by Google from Play store! After court order Google removed Tik Tok app from its play store. After a public interest litigation filed in Madurai high court quoting that Tik Tok affects culture with vulgar content it demanded central government to ban Tik Tok. Chennai Beach - Arakkonam - Chengalpet services coming soon! Karnataka IAS officer suspended for checking Modi's helicopter? 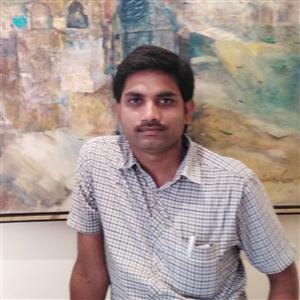 Why Sundar Pichai did not cast his vote in Tamilnadu? Will Pawan come in front of media & boast of CM seat his party will win? Rapthadu YSRCP MLA as Irrigation Minister and DVR as Speaker? Narendra Modi Saved Chandrababu in IT Grids Case? BJP Member says She will change constitution! Tik Tok removed by Google from Play store! Ali tried his best to tarnish Pawan Kalyan, But Ramoji Rao stopped him? Will Ileana jump back to glamour? Will Keerthy do it once again?